As a professional in the design space, you know firsthand that minimalism is on trend right now. Whether you’re creating home decor to help sell a house or making a dream habitat for a family settling into one, many customers prefer the clean lines and tidy look of less wiring. 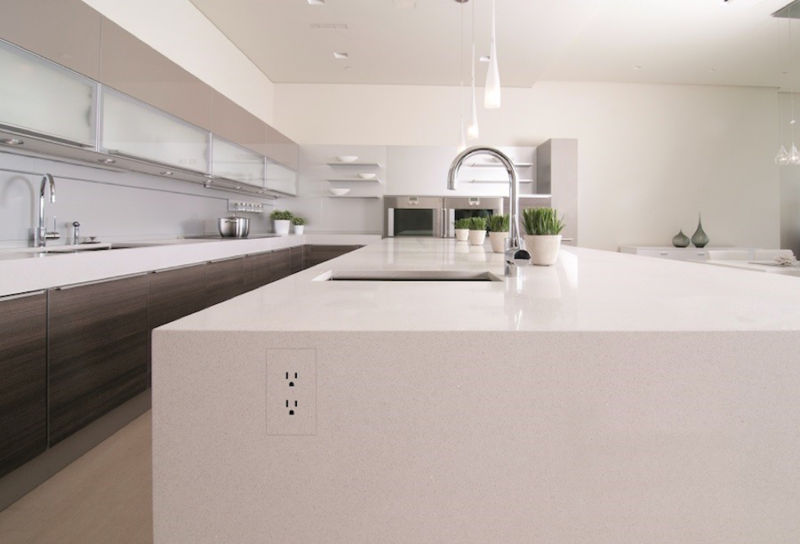 Tech integrators and designers work together to ensure that homes have full smart capabilities for clients without letting the technology steal the show. From a design standpoint, devices or wires that don’t match the overall feel of the home should be concealed. Keep reading for a few ideas on blending smart home features with your client’s design vision. One way to keep your eye from wandering to the unseemly wiring or excessive tech components is to match as much as possible with the rest of the client’s decor. Fortunately, Control4 offers plenty of color and design options to blend even minute details, like control panels, right into the home. Control panels will blend right into the wall, so you’ll only notice them when you’re operating your devices. Even the most sophisticated audio and video effects can blend into your living space. We use Sonos sound systems because of their brilliant sound and seamless integration with Control4 automation equipment. Because Sonos delivers WiFi-enabled sound solutions, you’ll need fewer wires throughout your home. For example, the 5.1 Surround Sound Set features clean, wireless designs that look intentional. Check out their Sub specifically: It looks similar to a modern sculpture. Similarly, you can conceal TVs within your client’s living or media rooms. Designers keep exploring new ideas for hiding TVs, so they cease to be the focal point of the entertainment space. First, customers started asking for mounted TVs, and then screens got flatter and flatter. However, some clients want television displays that don’t show up at all. One of the most common ideas involves transforming your TV into a piece of art while you’re not enjoying entertainment, as we’ve seen with popular models like the Samsung Frame. If you want to try a TV-turns-painting, consider using other art around the frame that complements the design and further camouflages the equipment. For example, series art by the same artist, such as Monet’s various floral paintings, should do the trick. You can also add sliding doors or rotating doors to build the TV into a shelf. 2018 saw the rise of the pop-up TV, which hid anywhere from the foot of the bed to a shelf and sprung up with just the push of a button. Designers: Let’s Work Together in 2019! At WSC Home Audio and Video, we know that each client varies, and we’re to help you do what you do best -- design. Leave the technology installing and hiding to us! Blending or disguising tech will look different for each client since we’ll have to grapple with different building codes, room dynamics, acoustics and more. Fortunately, we have the experience and tools to handle clients’ audio and video needs and look forward to collaborating with experienced designers to bring our clients’ visions to life. Have a project you might need our help with? Contact us by filling out our online form; we look forward to following up with you.